An interesting new expression from The Glenlivet. This whisky has been matured in former Cognac casks, which lends to the spirit a dense, grapey and dried fruit flavour. The whisky takes its name from Captain William Smith Grant, the great-grandson of George Smith who founded the distillery. 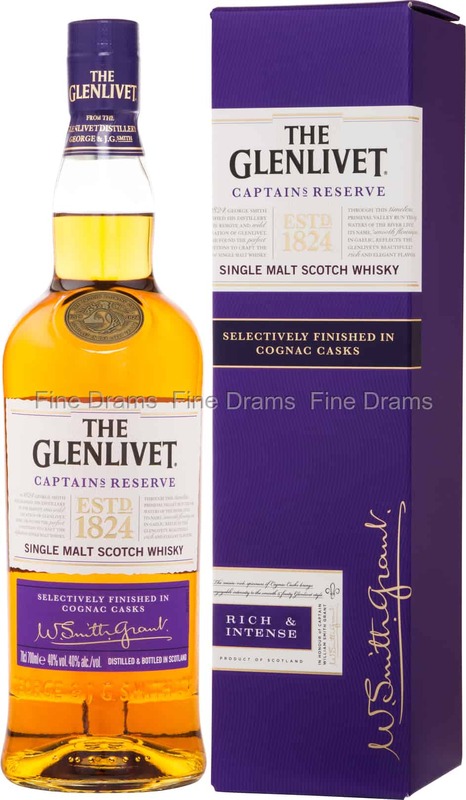 The result is an intensely flavourful whisky, which marries the classic Speyside profile of Glenlivet with the decadent, layered and fruity flavours of Cognac. Drinkers should expect waves of sweet grape and quince flavours, with a little gooseberry fool, apricot, honey, freshly baked cakes and milk chocolate. Approachable, tasty and a lot of fun, this is a whisky perfect for sharing with friends.